Niobium parts made to order? 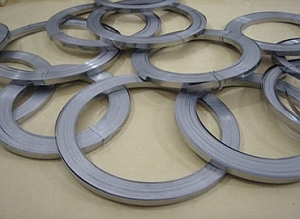 It is ductile and easy to fabricate at room temperature. It has considerable strength at elevated temperatures. Niobium is second only to Tantalum in corrosion resistant - Corrosion Niobio - properties and is resistant to many liquid metals at high temperatures. Niobium has low ductile-brittle transition temperature and excellent electron emission characteristics at high temperatures, good weldability under a clean, dry, inert gas or a vacuum. You find Niobium Screws (Niob Schrauben), Sheets, Foils, Tubes (Niob Rohre) and many more which makes it easy to protect your construction against corrosion (Corrosion Niobio). Like Titanium and Tantalum - it is possible to anodize Niobium. Oxide layer thickness defines its color. is the true to size solution. Only with Anodurit the surface remains as is!